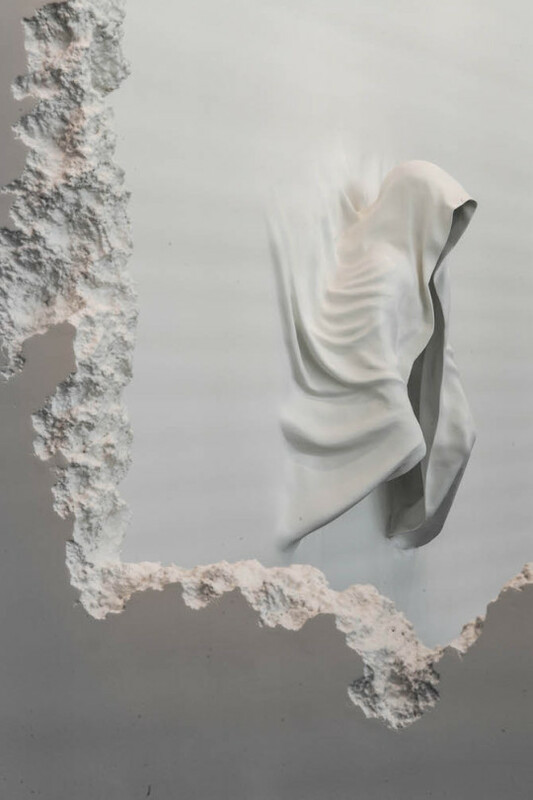 By digging through a series of faux-concrete walls, contemporary artist Daniel Arsham has surveyed the interaction between man and architecture - particularly human’s capacity for creating, destroying and repurposing the manmade and natural world. Beginning with a crudely cut, abstract aperture, the repeated sequence of carvings finally becomes the silhouette of a human figure. As visitors engage directly with their surroundings and walk through the immersive excavation, Arsham’s previous sculptural works serve as a continual backdrop within each of the intimate rooms.